LIFESTYLE/ This is resort living with an Ocean View. As the sun sets into the Ocean, the colors fill the BIG SKY VIEW. The friendly owners make this a special place. There is a Clubhouse with Billiards room, Card room, Community room, Kitchen, Gym, Spa, Sauna, Library, Laundry, Salt water pool and RV storage. Lots of activites to join or not.Evey month there is a calendar of activities from movie night, pool exercises to pancake breakfast there is always something to do and lots of new friends to do it with. Located off Camino de las Mares, Enjoy Ocean breezes while living close to Shorecliffs Golf Course, grocery stores, shops and easy freeway access. 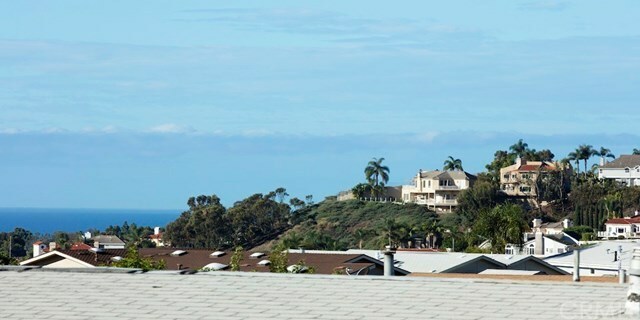 Dana Point Harbor, Doheny Beach and San Clemente Pier are a short drive. San Clemente is located half way between San Diego and Los Angeles. John Wayne Airport is 20 minutes away. Living Room, Family Room, Dining Area, 2 bedroom, 2 bathrooms, Walk-in closet, enclosed porch, Patio, Kitchen, Laundry room One resident must be 55 the second one 45. Small pet OK You own the land. Low HOA dues.